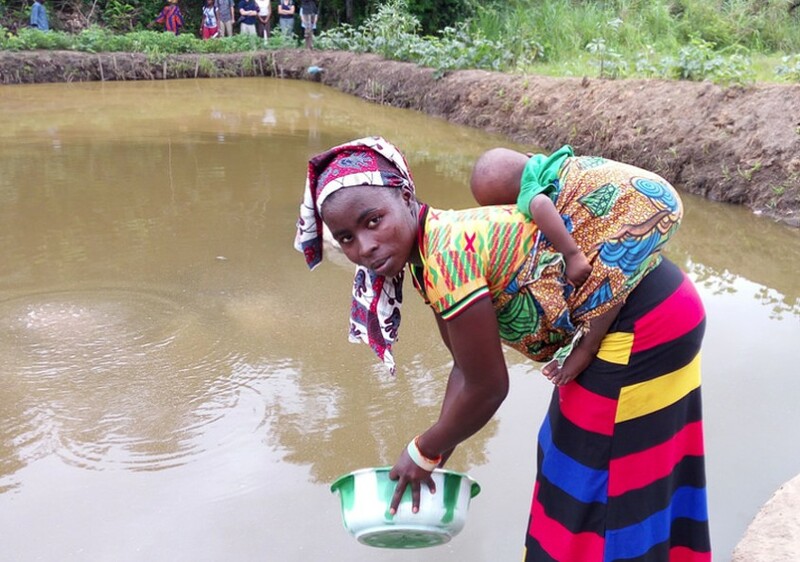 A woman feeding fish in Sierra Leone. 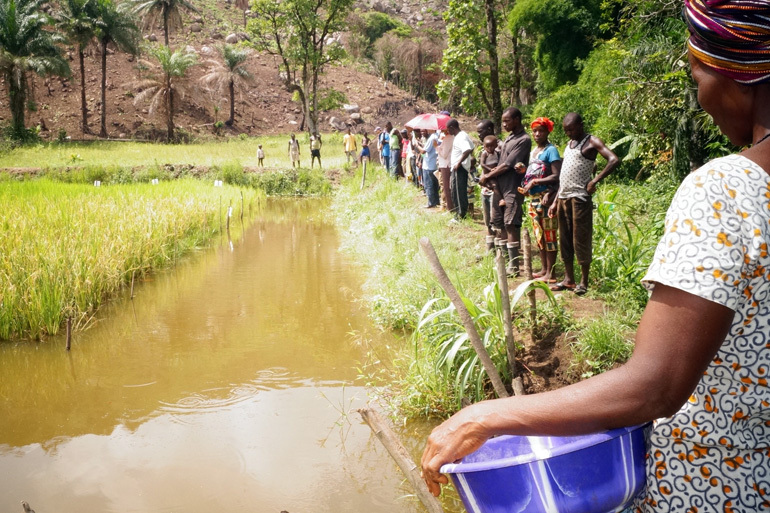 Photo by Success Kamara. 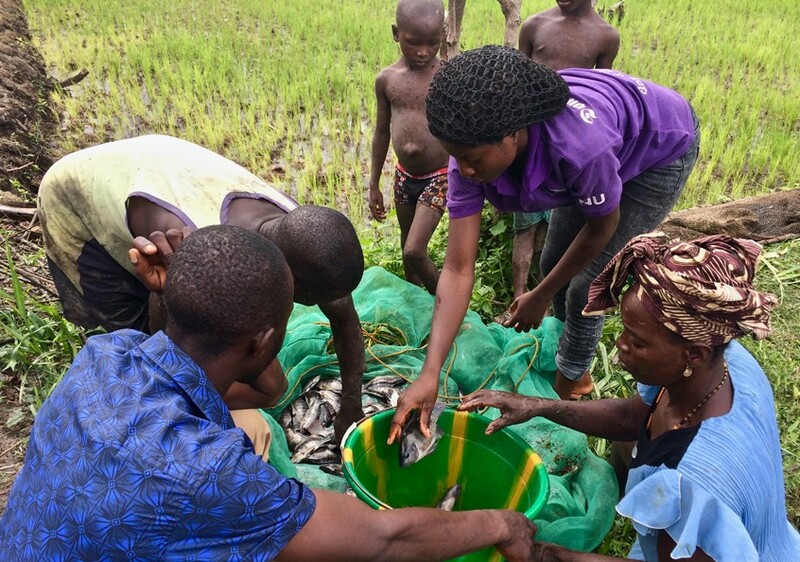 A modified Secchi disk to measure water transparency in fishponds and determine the amount of plankton is helping smallholders in Sierra Leone to farm fish as part of profit-oriented agribusinesses.